Thoughts careen off the corners of my mind faster than I can capture them. What do I need to do tomorrow? What do the kids need from me? What is urgent and not? What is my husband’s schedule? What help do I need from my parents? What’s priority for work? As I pull the covers up tightly, I beg God to stop my thought barrage so I can catch some much-needed sleep. To place me in His sweet embrace so sleep will soothe my shredded mind. This is when I try to seek God’s whispers of self care. To obey His call to rest and slow my pace. I ask my in-dwelling Holy Spirit to cover me with calm and patience so I can care for myself and others in a way that honors Him. I don’t always succeed, but when I do, it opens the door to great gifts! You’ll be amazed at what can happen once patience, and then peace, prune back your excess thoughts and the anxiety that accompanies them. 1. Inner peace – Inviting patience to preside over our lives produces an inner peace. It reminds us to take a breath when we feel anxiety and “rush-mode” coming on. To slow our thoughts and capture one at a time. To recognize that multi-tasking is actually a myth, as science shows our brains can truly only tackle one task well at a time. To forgive ourselves for forgetting the five thoughts that wandered into the wilderness of our minds. 2. Peace with others – When we are more patient with ourselves, we become more patient with others. We realize that the same thoughts racing an Indy 500 through our minds are running through everyone’s minds! That we all are desperately trying to catch up with our thoughts and that some just happen to escape the holding pin of our imperfectly human minds! That we all can be a little kinder and gentler with each other, knowing the battle we all face inside. 3. Clarity of thought – When we recognize our minds are treadmilling, our hearts are racing, and our breath is beyond its normal pace, it‘s God’s invitation to slow our thoughts, capture one at a time, and seek God’s grace to catch the ones that most honor Him, while leaving the others behind for now. Once our minds, hearts and breathing have slowed with God’s help, we find that He has provided us with a beautiful white space on which we can create His masterpiece. We enter a highway of thought motivated by His way, light and truth. One that is unfettered by the ways of this world but infused with the gifts God has for us. 4. Ability to hear God’s voice – Once we’ve accepted the call to clarity of thought in line with Christ’s, we’ve course-corrected our soul’s steering wheels, and we’re ready to ride alongside God. Clearing the clutter of our minds allows us easier access to our indwelling Holy Spirit, where we can curl up and let Him guide us down His path. Down a path where His voice shines brighter than any worldly worries coming our way. 5. Focus on eternal peace – When God’s voice is the loudest one in our minds, we’re sure to win. With His guidance at the helm of your heart, your guaranteed destination is Success Lane. Not success as the world would see it – but better – success that will lead us down the path to eternal peace. To a place beyond our wildest dreams where all the hurt, pain, and tears of this world are gone forever. Where peace abounds and love presides. Where hearts connect and divisions disappear. Where ultimate peace and patience reign. Christ invites us to “learn the unforced rhythms of grace.” (Matthew 28) I’m in! Want to join me as we invite Him in to pace our race? Let’s embrace patience so we can seek His incomparable peace! Make a comment on this blog post or on any of my social media and you’ll be entered to win a copy of Into the Deep: Diving into a Life of Courageous Faith by my super sweet friend, Lauren Gaskill. The winner will be notified by Tuesday, March 26, 2019. Good luck! About this powerful and restorative book: Be prepared to be inspired, moved, and empowered by Lauren’s message! She leads us through her real life faith struggles with unabashed honesty, humor and warmth. From times when she professed to have less than a mustard seed of faith to learning to fully embrace Christ with steadfast courage, she offers empathy, inspiration, scripture, and practical steps to deepen our faith walks so we can live out the courageous faith our hearts desperately need and desire! Lauren’s ministry: Learn more about Lauren’s exciting work as the founder and President of the nationwide ministry, She Found Joy! I’m honored to have been invited to work alongside her and the talented She Found Joy team! We invite you to join us for one of our Ladies Night Out events where Lauren and her ministry team provide a special evening of worship, food, fun and fellowship! See you there as we cross the country to a city near you! In the meantime, tune in to our weekly Podcasts and get all the latest She Found Joy updates by visiting our Facebook Page! Across the pitted black lab bench, my favorite seventh grade science teacher lovingly declared my future downfall. With wounded heart, the little perfectionist in me continued to white out three lines at a time and re-draw blue binder paper lines with a ruler. I remember thinking, Why would anyone do anything without the intent of a perfect outcome?! Over thirty years later, life’s storms have tossed me enough to know that perfection is an illusion, but I still fall into the trap of seeking it. As an Enneagram 3 – The Achiever – when I stress, I strive. I’m blinded with an overwhelming need to control. And worse, I’m deluded into thinking that I can actually control everything around me. I turn up free will to max volume and think that God must be on vacation today. I forget that He is beyond my understanding and that multi-tasking takes on new heights on His watch! How about you? Do you post a “Kick Me” sticky on your own backside when you do a drive-thru dinner for your kids? Or maybe you internalize the voice of a boss, parent, friend, or loved one who always said you weren’t enough? Or you punish yourself for how messy your home has become even though life crises have crushed you for months? I think we can all agree that this type of thinking sends us down a slippery slope to a place where insecurity, pride, and competition reign and relationships wither. Insecurity is at the heart of perfectionism. Feeling inadequate feeds our need to be recognized. We convince ourselves that striving for perfection will earn us the fame we seek. Pride also fuels perfectionism. It’s our human way of pretending we are God and believing the lie that we are fully in control of our destiny. And competition, while it can be a healthy motivator when viewed properly, can be an insidious beast when we ditch connection and compassion at the expense of winning. Bottom line, perfectionism flouts scripture and sets us against God’s Word. At the end of the day, Christ is the only One who is perfect. He is the only One truly in control. When perfectionism attacks, we believe our free will trumps Christ’s sovereignty. Then we skip into the enemy’s territory. Into a wasteland that will leave us treadmilling toward soul exhaustion. Toward a never-ending finish line that continues to stretch into the hazy distance as our weary souls stagger toward nothingness. Make a comment on this blog post or on any of my social media and you’ll be entered to win a copy of the freshly-released Freedom! : The Gutsy Pursuit of Breakthrough and the Life Beyond It by Jennifer Renee Watson. The winner will be notified by Tuesday, March 12, 2019. Good luck! About this empowering and encouraging book: Jennifer’s words will move women to shake off the shackles of their pasts to live in the true freedom only Christ can provide. With her trademark and self-professed “sweet and snarky” Southern-girl style, she tackles tough issues with just enough humor to help us toward healing, while still honoring our pain. This book is a true gift to a tired girl’s soul! I’m stunned to write this just a few months into my blogging journey… I’ve been chosen for two blogging awards! I’m humbled, shocked, excited, and a bit intimidated, but going with it. Christ must have plans for this science girl and I missed the memo! I’m giving all the glory to Him! And I’m also super grateful to fellow Christian blogger, Iris Ocampo, for nominating me for both awards! Click here to visit her blog! The best part is getting to pay it forward! To nominate other blogs that have inspired me on this tumultuous journey – those that have motivated my weary fingers to keep typing. And I even get the chance to spread the love to some newbie bloggers like me! What is the Liebster Award? 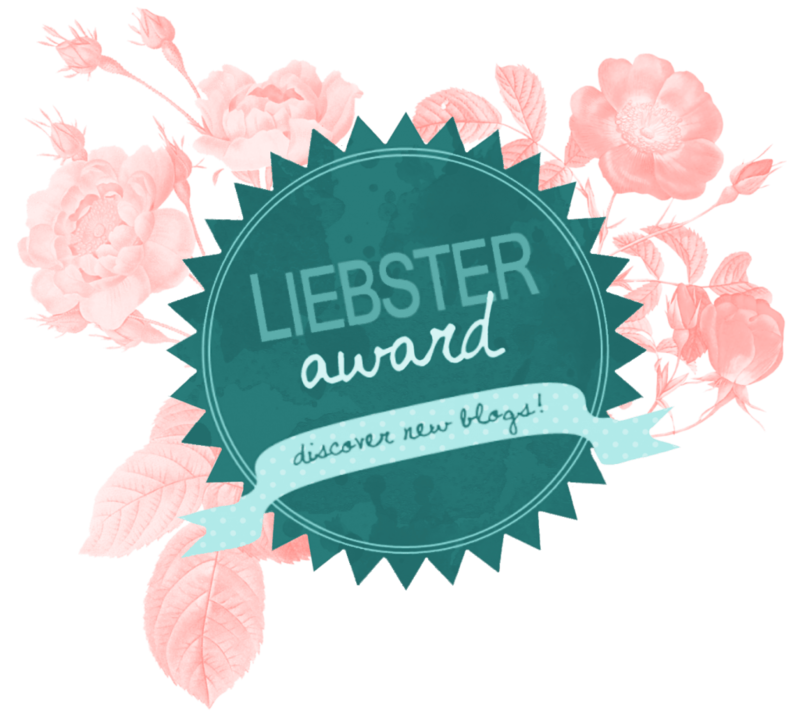 The Liebster Award 2017 is an award that exists only on the internet, and is given to bloggers by other bloggers. The earliest case of the award goes as far back as 2011. ‘Liebster’ in German means sweetest, kindest, nicest, dearest, beloved, lovely, kind, pleasant, valued, cute, endearing, and welcome. I started blogging because I have a chaotic life that prevents me from working outside the home right now. I longed for a creative outlet that would also connect me to other Christian women and I wanted to share my blossoming faith as a “thank you” to Christ. My tag line, Mom-ventures with Hope & Humility, emerged from an exhaustive list of potential candidates. It was just the right combination of fun and serious, which captures my personality. Also, I sought to draw my ideal reader – a mom who tackles each crazy day as an adventure, remembering that there’s always hope, regardless of how harrowing her day may have been. “Humility” is a constant reminder (to me) that mothering is perpetually humbling, not to take myself too seriously and that humility brings us back to Christ. What is your biggest struggle about blogging? Finding time to write and edit in a very noisy life and home! Wish I didn’t need uninterrupted quiet to produce a descent blog post! I’m hoping to tolerate more noise with time! What is your go to snack? Chocolate, chocolate, and um, MORE CHOCOLATE! I’m attempting to quell my addiction with snack-sized treats to ward off re-gaining the seventy-five pounds I fought to lose a few years ago! The struggle is REAL! What or who makes you laugh the most? Our tween daughter! She’s the most ebullient child! Dramatically bent, wonderfully whimsical, and just plain hilarious (and sometimes infuriating for all the same reasons)! What is your favorite quote to live by? “Faith is taking the first step even when you don’t see the whole staircase.” – Martin Luther King, Jr.
What is your favorite book and why? This one’s an impossible question for this bibliophile! I can only narrow it down to anything by Jennie Allen, Holley Gerth, or Lisa-Jo Baker! What is saving your life lately? My faith! Christ has dredged this girl from the depths of despair more times than I can count and no earthly person or thing can ever compare! Name your favorite aspect of each season. WINTER: Fluffy snowflakes, crisp morning air, and a warm bowl of anything under my softest and fuzziest blanket! SPRING: Baby birds sweetly chirping, the perfect temperature for a walk, and fresh green everything against a pale blue sky. SUMMER: The freedom that flows from a more relaxed schedule and vacation! FALL: My favorite season! Tired leaves fluttering to the ground, the return to quiet time during the day, and the anticipation of the holidays! Watching a thriller series in a QUIET house while snuggled up with a fun-sized pack (or two!) of peanut M&M’s! Hands down, my three favorite blogs are Holley Gerth’s Coffee for Your Heart, Suzie Eller’s Living Free Together, and Jennifer Renee Watson’s Soul-Full, Grace-Filled Space Your Soul Needs. Their posts always speak directly to my heart on any given day, their personalities align with mine, and their words heal me every time! If you’re looking for a laugh through your tears, these three won’t disappoint! To enjoy this adorable trio’s unique blend of steadfast faith, humility, vulnerability, and endearing girl humor, check out their Facebook Lives at #MoreThanSmallTalk! They’re the deepest group of gals who will leave you in stitches! 1. Don’t give me anything sweet, because I’ll eat it! 3. I love to take on new challenges! 4. Give me a good book, and you might not see me for a few days! 5. TV is my retreat when I should be seeking Christ. 6. I’m an extroverted introvert. I’m generally friendly, but need to retreat to rest alone after a few hours of socializing. Otherwise, “mean mommy” emerges from her evil lair! 7. I’m a recovering (?) over-achiever and perfectionist. 8. Tragedy has visited me more often than I thought I could bear, but Christ has seen me to victory through it all! 9. I’ve struggled with my weight since gaining the freshman fifteen! 10. Lesson I’m still learning: Victory is in the TRYING, not the TRIUMPH! 1. Thank the person who nominated you, and post a link to their blog. Try to include a little promotion for the person who nominated you. 2. Display the award on your blog — by including it in your post and/or displaying it using a “widget” or a “gadget”. You can download images for the award here. 3. Write a 150-300 word post about your favorite blog that is not your own. Explain why you like the blog, provide links. 4. Answer your questions and provide 10 random facts about yourself. 5. Nominate 5 – 11 blogs that you feel deserve the award, who have less than 200 followers and ask them your own questions. 6. List these rules in your post (You can copy and paste from here or from this site). 7. Don’t forget to inform the people/blogs you nominated about it! Thank the blogger who nominated them and link back to their blog. Answer the 11 questions asked by the blogger who nominated them. Nominate 11 other blogs and give them 11 new questions to answer. 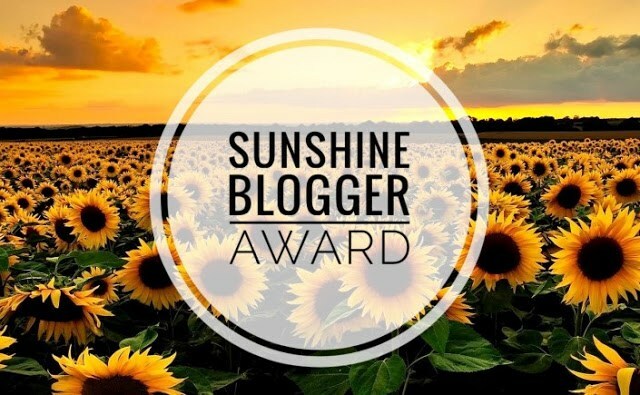 Notify your nominees and display the Sunshine Blogger Award logo in your post. What is the toughest part about blogging for you? What is the most enjoyable part? Being creative, connecting with others, and honoring Christ. Is there something that always keeps you going during tough times? Prayer, bible studies, devotionals, and supportive friends and family. What’s the weirdest thing you’ve ever eaten? Goat cheese. I’ve got a squeamish palate! Besides blogging, what else do you enjoy? Reading, walking on a clear day, bible studies, warm chocolate chip cookies, the caress of sunshine on my face, and seeing our children in side-splitting giggles. Would you rather fly or sail somewhere? Why? Flying, for sure! Dramamine is my constant companion on choppy waters! Who do you most admire, and why? Jesus, because He is my role model! God’s manifestation on earth and perfection embodied! Are you an Apple or an Android person? My faith, plus collective creativity and encouragement. Sharing ideas and creating with others. Is this your first blogging award? These two awards are my first! I’m so humbled that the blogging community has seen something in my little musings here! I can’t wait to spread the love! Each of these blogs has filled my soul to the brim with Christ’s goodness. Some are serious, some are lyrical, and some just deliver a belly laugh through your tears! Thanks to each lady who has poured herself into each carefully-crafted blog! You’re all an inspiration to me! Consider this my thank you note to you from my grateful heart. Listed IN NO PARTICULAR ORDER! What was your favorite subject in school? What is your greatest temptation? Who do you call when you can’t sleep? What do you love most about your oldest friend? What’s your favorite act of random kindness to give? What have life’s struggles taught you? What’s the best advice you’ve received about life? Do you have a background in writing? What’s the most daring challenge you’ve accepted? Do you prefer school or work? Are you an introvert or an extrovert? Whew! That was fun and exhausting! Hope you enjoyed it as much as I did! Again, I’m super grateful to have been nominated. Blessings to each of the new nominees, all my blogger friends who offered their blogs for nomination, and all you precious readers! Leave a comment by September 30th to be entered to win your very own copy of Anchored In: Experience a Power-Full Life in a Problem-Filled World by Micah Maddox (*THIS IS A CHANGE*)! Winner will be emailed in early October. Bonus for bloggers: If you’re the winner, I’ll feature your blog on mine and on social media during October! Congrats to our August giveaway winner, Maureen B! Since she’s also a blogger, I’ll be featuring her blog this month! Click here to enjoy! Be inspired by other moms braving back to school and new beginnings! Click here to read their stories! 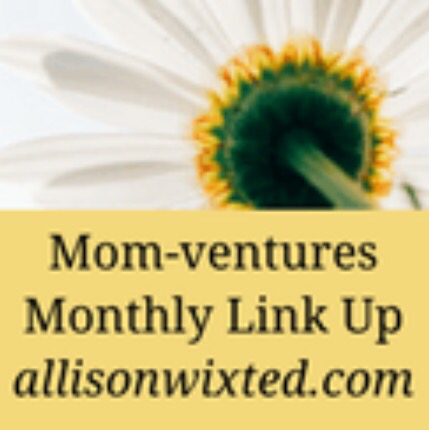 FOR BLOGGERS: Welcome to the Mom-ventures Monthly Link Up! Feel free to share a post recounting how Christ has seen you through this busy back to school season or simply any new beginning! Insert the button & link up link: Include this image with link up URL in your participating blog posts. That way, your blog visitors can click their way straight to the party! Leave 2 Comments: Please choose 2 link up posts. Leave an encouraging comment on each. Share on Social Media! Share your favorite posts from the link up! Tell your Followers! Share this link up with your email subscribers so they can join the party too! Have you ever lost Christ somewhere between frantic phone calls and forms? That was me this past month! August hit our family like Hurricane Harvey hit Houston. Blustery, unforgiving, and abundant in chaos, one crisis after the next landed on our doorstep. Wave after wave, I gasped for air, longing for sunlight with little reprieve. Although I’m still gasping a bit, God’s steadfast beams are beginning to peek through the angry clouds still hanging over our home. And I’ll bet you might be feeling tossed about as well! Whether you’re rebuilding your life from scratch or knee-deep in back to school craziness, new beginnings can be overwhelming. For me, the sunlight began to edge its way in a few weeks ago upon the wise words of author Micah Maddox. She shared her own chaotic month. Although preparing her children to return to school, launching her new book Anchored In: Experience a Power-Full Life in a Problem-Filled World and having just moved, she still found peace. And that peace resided in Psalm 27. In the simple reminder to dwell in Christ. Hearing these words, something in me broke. It had arrested my stress. It broke the chain on my heart and released my soul. A door unlocked and freed me from my self-imposed prison. My soul rejoiced in praise for a reunion with the One who is there with us everyday, every moment. The One who I’d forgotten over the last few weeks. The One who always stands ready with boundless love and a warm embrace. What solace in falling into His arms. I’d missed my Jesus hugs! Why had I forgotten to ask? Why had I ignored His still, small voice? I’d forgotten Paul’s teaching that Christ provides contentment in any circumstance, not just in the moments when life is good (Phillipians 4:11). I’d forgotten to fling myself at Christ’s feet when chaos first strikes. Not wait until I’ve hit rock bottom. To seek Christ with unrelenting steadfastness at the start. He is the way, the truth, and the life (John 14:6). Author Holley Gerth has also reminded me of truth during this dark time. Just the title of her soon to be released book, Fiercehearted: Live Fully, Love Bravely, has led me to back to the same verse that God has been speaking over me for the last few months. God hasn’t given me a spirit of fear, but one of power, love, and self control (2 Timothy 1:7). That even in the darkness, God has given me the spirit of a fierce-hearted warrior princess. That in my times of distress, I’m to fight to seek Him. That I already have the power within me to fight the darkness. The power of the Holy Spirit that dwells within me and every believer who has accepted Christ as her Savior. What power could be more effective or magnificent? We just have to press our soul’s call button and it’s there! Say a prayer and it is there! And not only are we constantly blessed with His incomparable power, but His limitless, unconditional love. A love like nothing we’ll ever experience from humans in this world. A love more consistent, dutiful, pure, and complete than any human can ever give. And again, it is there as His offering to us, anytime, anywhere. Isn’t that just soul-restoring?! As if God’s supernatural power and love weren’t enough, the Holy Spirit also grants us a spirit of self control. Not just self control to prevent us from eating that tasty potato chip to quell the anxiety our darkness brings, but self control to reach out to Him in our time of need. Not to reach for the remote, our credit cards, or something else to distract us from our pain. But to reach for the Word, to pray, to connect with Him in an intimate way that soothes our present suffering. To hand over our fears, anxieties, darkness, and pain to the One who can handle it all so much better than we ever could alone. So as much as I’ve hated being away from you wonderful women the last few weeks, I’m thankful for the chaos I’m starting to embrace. I’m thankful for the Jesus embrace that produced this post. I’m grateful that I waited patiently in His time to hear it. Because He knew the message that I was to send. He knew the words I’d stopped and started several times before weren’t His, but mine. That my words couldn’t make His difference. That only His could. That regardless of our circumstances, we must remember to dwell in Him always and fight with the spirit of power, love, and self control that He has given us. I’m praying for you in the midst of your own chaos! Be brave and fight to seek Him through the darkness! 1. How can you fight to find Christ in your present chaos? 2. If you’re not in chaos now, how can you prepare to fight to find Christ when darkness strikes? A few years ago, my son was super into origami. Spending countless hours meticulously bending and folding paper into mini masterpieces, he protected his crafts with a ferocity rivaling a mother dragon. As only a nine-year-old boy would, he proudly displayed his creations in his bedroom’s origami museum to protect and admire his labors. That’s why I nearly fainted when he offered one of his freshly crafted origami cranes to a stranger. We had just come out of the library that balmy summer afternoon. Bustling along, clicking errands off our To Do list, I prepared to squeeze myself into our tin can of a hot minivan. Just before the leather seat threatened to scorch my hamstrings, I heard a little voice mumble something indistinctive in another direction. Realizing it was my son’s, and determined to attack our next task, I turned to bark some version of mama orders like “Get in the car! We’ve got things to do and can’t be late to pick up your sister!” But my “mama ire” was quickly stalled by a disheveled elderly man sitting alone in his car. Panning over to my son, I soon gathered that he was attempting a conversation with our chronologically gifted friend. Like a freight train screeching to a halt to spare someone sprawled across the tracks, my attention laser-beamed on my son. Why is he talking to this man? Doesn’t he know not to talk to strangers? Plus, this particular stranger looked next in line for the Curmudgeon of the Year award, complete with curling lip. “Sir, would you like my crane?” my son interjected through my protective panic. And then it hit me… yes, my son knew all of those things, yet he chose kindness. He chose to step across those invisible boundaries we erect for ourselves and our children. Ones grounded in good intention, but dividing us from real connection. Ones that mean to protect us and our children from harm – borne out of responsibility – but sometimes fueled by fear. • Busyness blames, but kindness cares. • Fear kills kindness. Kindess bears love. God is love. • Kindness can be an act of worship – paying it forward in God’s name. • Kindness can be sacrifice – of time, of energy, of prized possessions. Yet Christ made the ultimate sacrifice for us. Let’s follow His lead. Like my son’s origami, God bends and shapes us to prepare to add us to His eternal museum in heaven. We are His masterpieces (Ephesians 2:10). As His masterpieces, let’s keep fear from leaving us reluctant to abide in His love, balking at our chances to choose kindness. Dare to choose kindness, as God boldly chooses grace for us everyday. 1. What is one small act of kindness you can integrate into your daily life? 2. How can you push fear aside to fuel love and kindness? Leave a comment to be entered to win a $25 Barnes and Noble gift card! Winner will be emailed in early September. Congrats to our July Giveaway winner, Lindsey Z.! Check out her blog here! I’m honored that this post was featured in the 9/14/17 Blossom in Faith Newsletter as a #FreshlyPickedFind! Thanks for your support, Kelly Basham! Be inspired by the incredible women of She Speaks 2017! Click here to read their stories! August Theme: She Speaks Shares 2017 – If you attended, feel free to share a blog post recalling your SS experience or even your most favorite post – whatever suits you, honors SS, and glorifies God! Insert the button & link up link: Include this image with site link in your participating blog posts so your blog visitors can click their way straight to the party! IMAGE LINK. SITE LINK. IMAGE & LINK CODE. Share on Social Media! Share this link up post and your favorite posts from the link up! Heart hammering, I edged my way through throngs of busy women sporting identical teal tote bags. Which was more terrifying? Being a first-time attendee, knowing no one, or being a green-as-grass writer at a writers conference? As panic set in, I settled for a three-way tie. We all arrived filled with hope. Many literally toted hope in the rustling pages of book proposals for prospective publishers. Others hoped to make life-long friendships. Like me, some hoped to feel qualified enough to be there and to find a place amongst so many accomplished women. And yes, we all hoped to find a friendly meal partner! Last weekend, hope was palpable in the air like the thick North Carolina humidity blanketing the conference center. The She Speaks Conference had begun! How did this science girl end up at a writers conference? I suppose only God can answer those questions. But I do know that the road there has been weary, full of almosts, broken dreams, and crushed hope. Yet that same road has forged my imperfect story that I was there to learn how to share. I soon learned that my tattered story also had companions to spare. In an attempt to quell my raging nerves and seek peace in some sort of connection with at least a sliver of the 800 perfectly coiffed and accomplished women surrounding me, I started asking questions. Do you have any publisher or agent appointments? What is the subject of your book proposal? Little did I know that these questions would build a beautiful vulnerability bridge between us. Each She Speaks sister seemed to have a story like mine. Stories that dethroned the mythical lives I’d assigned them minutes earlier. • An adorable young mom shared the devastating loss of her husband. • Another bubbly sister recounted how her young son passed unexpectedly. • Beautiful single moms shared the pain of divorce. • An accomplished writer revealed her struggle with the shame of being a teen mom. • Some sweet moms shared struggles with their faith and their journeys back to God. • A spunky mama and I even bonded over toilet training our teens with special needs. But even as heavy as these conversations became, they all returned to God’s grace, the gateway to hope (2 Thessalonians 2:16). Each story underlined God’s power to transform our troubles into a door of hope (Hosea 2:15). These simple truths became our unspoken anthem. They reverberated throughout the conference center with as much power as the mammoth amps bathing us in Elevation’s praise music. So, my She Speaks sisters, may God’s grace dwell within you as you fulfill your calling. Run your race with grace as the Holy Spirit fills you with His power. “For God did not give us a spirit of timidity, but a spirit of power, of love and of self-discipline” (2 Timothy 1:7 NIV 1984). I’ll see you before your door of hope when we meet again! Learn more about the ladies of She Speaks! Visit this link now to be connected with their blogs, all on one page! Be sure to swing back frequently, as more blogs will be added through August 31st! 1. How have hope and God’s grace intertwined in your life? 2. How has God blessed you with vulnerability bridges? Win a $20 Target gift card! Just leave a comment and you’ll be entered to win. Winner will be chosen on July 31st! Theme This Month: She Speaks Shares 2017 – If you attended, feel free to share a blog post recalling your SS experience or even your most favorite post – whatever suits you, honors SS, and glorifies God! That’s the question I ask myself hundreds of times each day. She is our twelve-year-old daughter, who happens to have Down syndrome. She is significantly delayed cognitively and physically, more than even most children with Down syndrome. She is also a spit-fire strawberry blond who loves to run, laugh, listen to music, and give us a tween “stink eye” when she doesn’t get her way. She is a gift from God who checks our “pride monsters” at the door. She reminds us to slow our pace to God’s “unforced rhythms of grace” (Matthew 11:28-30, MSG). She is so many things, just as we all are. We are each a unique life bundle. Our lives are canvases of characteristics painted by our actions, choices, and thoughts. Our daughter with Down syndrome does speak a few words, but oftentimes they’re out of context. That said, her immediate physical needs motivate her to speak in context… like “want to eat,” “cookie,” or “please.” Her spoken word bank tops out around 10 to 20. She has never used words to express how she feels, however. For feelings, she employs physical-behavioral means, which come in the form of a broad smile after that cookie, a hoe-down-worthy stomping after being told “no,” or her go-to for “mad:” a sit-down-and-won’t-budge. Since she isn’t able to express her feelings with words, I feel distance between us. I’m a verbal processor. Words, language, and conversation are like oxygen to me. Our other two children adeptly express themselves with words – sometimes too well! Why can’t I have that with our twelve-year-old daughter? This is when I plaintively pray for a device to plug into her brain that reports her thoughts! Where is technology when I truly need it? I want to know whether she knows God. I want to know whether she loves me. I want to know whether she is happy living in our home. God then tenderly taps me on the shoulder, interrupting my reverie. He reminds me of His truth about our girl: “Blessed are the meek, for they will inherit the earth” (Matthew 5:5). And I melt. Our girl, in all her meekness, is set for a beautiful inheritance. Maybe I’m the one with the shallow connection to God? And this is when gratitude creeps in. God knows me so well. He knows how to draw me close. With a sheepish side-grin and a wink upward, I clasp my hands together and close my eyes. I begin to pray, thanking Him for the gift that He has given us in our girl. The lessons that she teaches us. That God loves us enough to entrust us with her care. But mostly that our girl keeps me plugged into God, the ultimate source of soul connection and renewal! 2. Write a prayer asking God to help sort out your struggle in His will. Leave a comment below to be entered to win a Target gift card!